Beetiful designed the book cover for Love’s Knocking, a lesbian romance by Jade Winters. 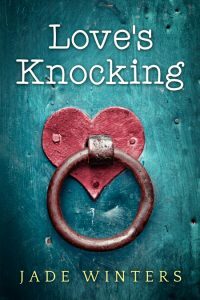 Get Love’s Knocking by Jade Winters today! Today, as a full-time author, she has published several novels in the lesbian fiction genre as well as a number of short stories. Jade was born and educated in London where she studied journalism for three years at a London University. Jade now makes her home in Dorset in the South of England with her partner and furry companions Zorro, Buttons and Zeus.